Whiplash resurfaces with a new name and powers, Blacklash, provided by Justin Hammer. Iron Man and Dr. Doom battle in King Arthur's time. Bethany Cabe returns to her husband. In the Negative Zone, Blastaar and his people defeat the forces of Annihilus and gain possession of the Cosmic Control Rod. The Thing and the Avengers are caught in the conflict. The Thing and Wyatt Wingfoot meet the Navaho superhero, American Eagle. The Hulk meets the Israeli mutant heroine, Sabra. The Arabian Knight surfaces and aids the Hulk (and later the Ghost Rider). The Hulk battles the Soviet Super-Soldiers: Ursa Major, Darkstar, Vanguard and a new Crimson Dynamo. Glenn Talbot dies while trying to kill the Hulk. The Hulk encounters a new southwest-based superteam, the Rangers (including the Phantom Rider, Texas Twister, Red Wolf, Firebird and Shooting Star). Spider-Woman encounters Banshee’s daughter, Siryn, who also possesses his mutant vocal powers. Dr. Strange befriends neophyte mystic Morgana Blessing. They travel back to Germany, 1943 to battle the re-energized Mordo and Dormammu. When the Defenders face the menace of Satan and the Six Fingered Hand, they are joined by Isaac Christians (the Gargoyle), Daimon Hellstrom (Son of Satan), and Eric Simon Payne (Devil-Slayer). They also encounter Dracula, Ghost Rider and the Man-Thing. Nighthawk becomes afflicted with partial paralysis. In an encounter with "days of future past", the X-Men encounter a future version of Kitty Pryde who warns them that in the year 2013 the Sentinels will rule the Earth if the anti-mutant Senator Kelly is killed in the present time. The X-Men defend him from Mystique's New Brotherhood of Evil Mutants (including Destiny, Avalanche and Pyro). The X-Men meet Caliban, an underground dwelling mutant who can sense other mutants. Tigra joins the Avengers. Wanda, the Vision and the Beast leave. Carol Danvers confronts the Avengers after Xavier helps her regain her memories (lost during an attack by the the power-absorbing mutant Rogue). Hank Pym (Yellowjacket) strikes his wife the Wasp, and after a failed attempt to deceive the Avengers is court-martialed and ejected from the team (later it is revealed that Egghead was manipulating Pym). The Ghost Rider goes on a rampage and the Avengers are called in to stop him. Spider-Man accidentally creates the water villain Hydro- Man. When Spider-Man is infected by the bite of one of the Serpent-Men, Dr. Strange sends him back in time to seek the aid of King Kull. 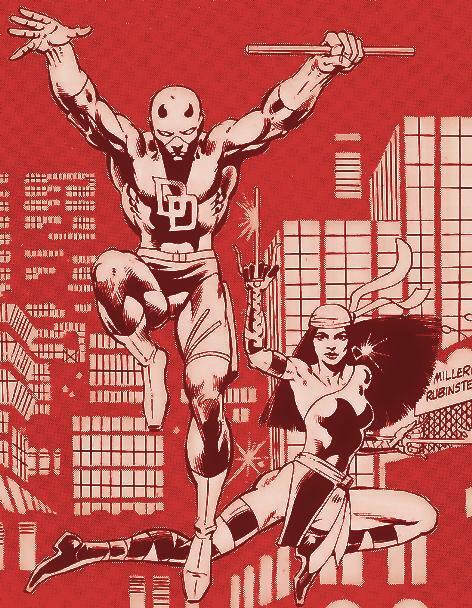 Daredevil encounters Elektra again for the first time since their romance at Columbia University. When the Kingpin is drawn back to NYC, he and Daredevil battle for the first time. Bullseye allies with the Kingpin. 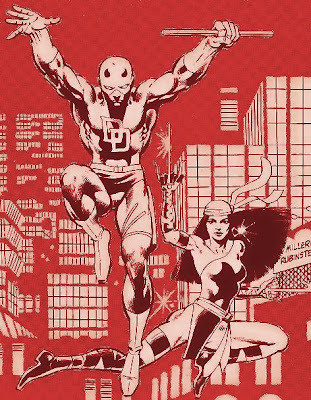 The Kingpin manipulates Daredevil and Elektra into a struggle with the ninja group, the Hand. Daredevil's old teacher, Stick, resurfaces. Captain America re-encounters the vampire Baron Blood and the Falsworth family for the first time since the war. Odin and his new Valkyries reclaim Valhalla from Hela, who returns to Niffleheim. On Earth, the Micronauts, aided by Nick Fury and SHIELD, defeat a resurrected Baron Karza, but at the expense of the soul of Acroyear's home planet, Spartak. Biotron is destroyed. Back in the Microverse, the Micronauts (joined by Devil & Fireflyte) quest for the missing Enigma Force and learn the origin of the Microverse. Dr. Strange assists them. 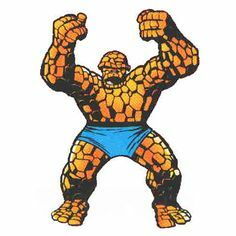 When John Kowalski (an aspect of Death) surfaces in Citrusville and helps the Man-Thing, Chris Claremont is temporarily turned into the Man-Thing and defeats Thog the Nether-Spawn. ROM leaves Earth and helps Nova and the Xandarians defend their worldship from the Skrulls. Nova is returned to Earth without his powers. When ROM returns to Galador he liberates it from an imposter spaceknight. After the Dazzler's powers are boosted to cosmic levels (from absorbing Klaw, Master of Sound), she aids Galactus against a rebellious Terrax the Tamer. Ka-Zar and Shanna the She-Devil learn of the origins of the Savage Land and Pangea as Atlantean outposts. In Rome, Shang-Chi rendezvous with Mia Lessing, aka Dark Angel. Iron Fist (accompanied by Power Man) returns to K'un-Lun for the first time since he left, to defend the city from the Hylthri and Master Khan.